Home Fitness Should You Avoid This Type of Exercise? For those of you who know a little bit about me, you know that I take health as well as fitness pretty seriously. Before becoming a physician full-time, I dabbled in some recreational activities, activities like soccer. Ok, dabble might be an understatement, I was a starter for the Wake Forest soccer team as a defensive player, so it’s fair to say I did more than dabble. Even now, I spend a good deal of time in the gym, because after a long, hard day at the office, I find it’s an awesome way to help me feel better. Not to mention I’m over 30 now, so the last thing I want to do is go up another pant size… not a big fan of buying new pants. I believe exercise is an absolutely integral part of living a healthy life. If you do your research, you’ll find that there isn’t just one kind of exercise routine you can follow. In fact, there are a variety of methods by which you can achieve optimal health. There’s weightlifting, walking, Zumba, CrossFit, Pilates, yoga, and the list goes on. And, the more health conscious people become, the more likely they are to hear differing opinions on different styles of exercise. Imagine that! People have different opinions on exercise, who knew? One thing that I have heard on occasion is that people are concerned about doing cardio. Apparently, there are some myths concerning cardio that are being spread and I want to take them head on. At this point in time now, there’s been a push in workout culture to do more high intensity training, things like intense weight lifting or High Intensity Interval Training (HIIT). And, some “fitness experts” have made claims that cardio is in fact dangerous and can actually lead to oxidative stress on the body that eventually cause poor health. Others say that cardio simply takes too long before you see any measurable results. My objective here is to let you know that avoiding cardio isn’t necessarily a course of action I would recommend, and when done correctly, cardio is a great method to achieve your desired level of health. On the the other hand, I do believe that it’s wise to exercise in a manner appropriate for optimal health, so I’m only going to give cardio the thumbs up when it’s done a particular way. For many people, cardio just seems boring. If most of my soccer career had been spent running up and down a field without the opportunity to slide tackle my opponents and create scoring opportunities for my teammates, I might have gotten bored myself. But, for others of you, the idea of lacing up your running shoes and going out for a 5 mile jog seems like bliss. Part of the “anti-cardio” movement comes mainly from people who think that when you lift really heavy weights for short period of time, you burn more calories than you would if you went for a nice jog. It’s the expedient way to get your exercise in, they claim. You do burn more calories in 60 seconds of intense weight lifting than you would in 60 seconds of a leisurely jog. But, on the same hand, you’ve got to rest for a while before you’re able to go back at it again. Then there’s EPOC (excess post-exercise oxygen consumption) which helps you burn more calories between workouts. However, when you do steady, consistent cardio exercise, you frequently will burn the same amount of calories as you do lifting weights. So it can be a bit of a wash. But, there’s also a limit for how much cardio you can do before it begins to be dangerous to your health. That’s an important point to make. 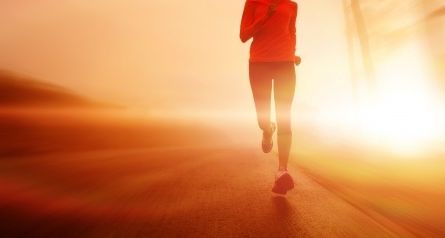 Some people believe if you run all the time, it’s good for you, but that’s not really the case. Any and all exercise is a stressor to your body. If you overdo cardio, you are adding an increased amount of stress to your body, and from a health-standpoint, this isn’t beneficial. Dr. Kurt Harris noted in Psychology Today that running multiple marathons can actually cause heart disease, mainly because the body never is able to recover from the accumulated stress of so much exercise. Here’s how it works. Overtraining in cardio can increase your body’s cortisol levels to the point where they are well out of the normal range. Elevated cortisol levels produce severe inflammation in the body, and inflammation is one of the leading causes of many of the chronic and degenerative disease I see on a day-to-day basis. On the same hand, the same kind of effects that overtraining with cardio produce can also be replicated with many other forms of exercise, so cardio isn’t the only culprit here. But, most people have bought in to a belief that 2 hours on the stair-stepper everyday is the golden ticket to health. Ultimately, it’s important to realize that you should always attempt to train within reasonable limits. Do that, and your health will be secure. Now, to be fair, I must address some of the shortcomings of cardio training. One is spandex… I’m kidding. Cardio (as opposed to resistance training) doesn’t help you build muscle mass. So, if you’re looking to add a few inches to your guns, or get a rippling six pack, cardio’s not the best go-to option. Likewise, cardio isn’t great for improving bone strength. However, on the flipside, cardio is amazing for improving blood pressure and cardiovascular health, which is profoundly beneficial for health. And, it’s not ideal for weight loss. What it can do is help you increase your endurance so you feel less fatigued during the day. And, on a hormonal level, cardio is proven to improve insulin sensitivity to within the healthy range as well as helping to increase blood glucose tolerance. This is great for anyone who wants to regulate hormones for better health. In order to be respectful of your time, I’ll stop right there. The point I wish to make is that cardio is a wonderful way to improve health. It will help to boost your energy levels, help you lose weight, and lessen the likelihood you’ll succumb to chronic conditions. Just be sure you don’t over-train, and, as always, before you start any physical training program consult a physician to make sure you’re healthy enough to do so. Curious to Know My Exercise Routine? I do cardio a couple times a week, more for cardiovascular health and stress relief. I’ll be telling you more about the benefits of weight training in an upcoming article.